As we approach ICOMOS’s International Day for Monuments & Sites on the 18th April, it is worth celebrating that Syrian Government forces have retaken the ancient city of Palmyra from ISIS. Over the past year this World Heritage Site has become a cultural battleground for Islamist extremists who reject alternative ideologies. The potent symbol of the destruction of the 2,000 year old Temple of Bel last September was made more shocking in the knowledge that this ancient city was built on its trading links. A dispiriting moment for a place that flourished on tolerance and diversity, a place where Greek, Roman, Persian, Arab, Phoenician and local traditions combined and prospered. Now, with Isis gone, there will be an opportunity to review what Syria and the world has lost. Our first reaction is horror and offence. These are globally significant remains that are being destroyed on the grounds of ideology and, frankly, in order to loot and grab headlines. Isis can try and redact Palmyra from our collective memory. But they will fail. 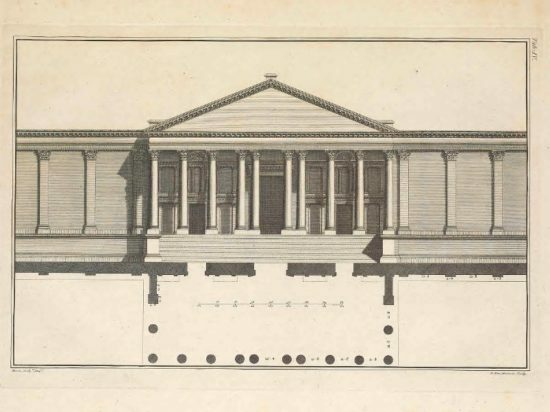 The genie flew out of the bottle in the 18th century, when a series of beautiful drawings were published that inspired the neoclassical movement and influenced hundreds of buildings in Britain, continental Europe and America. 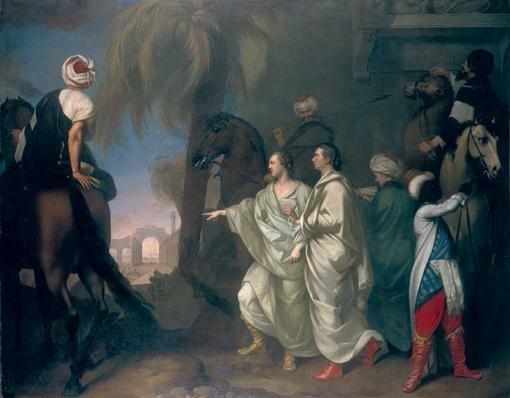 In 1751, Robert Wood and James ‘Jamaica’ Dawkins, with the Italian architect, Giovanni Battista Borra, travelled to Palmyra in Syria and Baalbek in Lebanon, via Italy and Turkey. 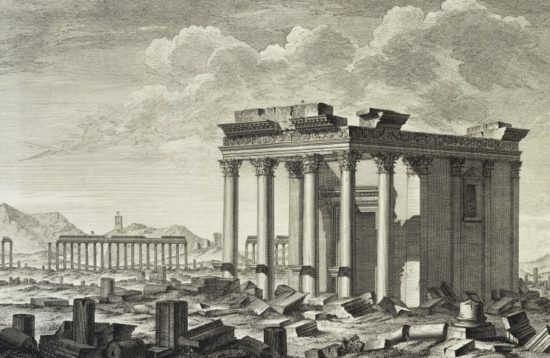 They spent five days in the ancient city recording the wonderfully preserved ruins, that were subsequently published in both English and French as ‘The ruins of Palmyra, otherwise Tedmore in the desart‘ (sic) in 1753. Back home a burgeoning interest in the classical world, fuelled by the Grand Tour, created a thirst for authentic and original classical styles – Wood’s book with its accurate illustrations, was the first of a handful of source manuals that fed the new architectural movement (alongside James Stuart & Nicholas Revett’s Antiquities of Athens 1762, and Robert Adam’s Palace of Emperor Diocletian at Spalatro in Dalmatia 1764, amongst others). 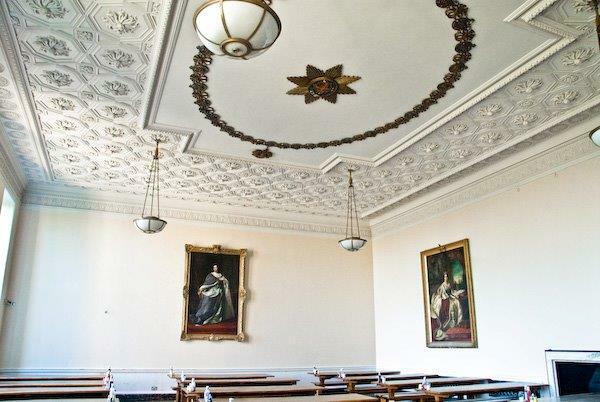 Walk through the Piano Nobile at Stowe House in Buckinghamshire to the Garter Room or State Bedroom at the end of the western enfilade. Look up. 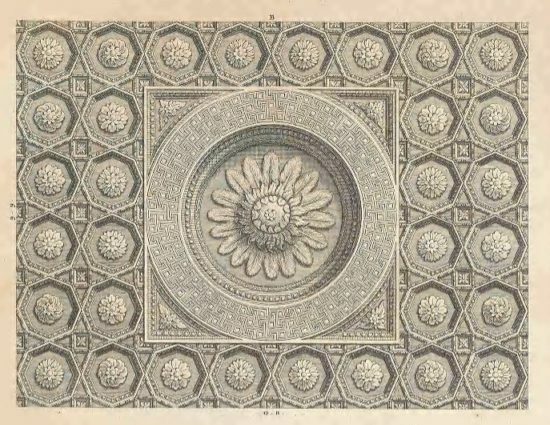 There is a precise copy of the coffered ceiling from the Great Temple of Bel. Go outside to the Temple of Concord & Victory, and there it is again. 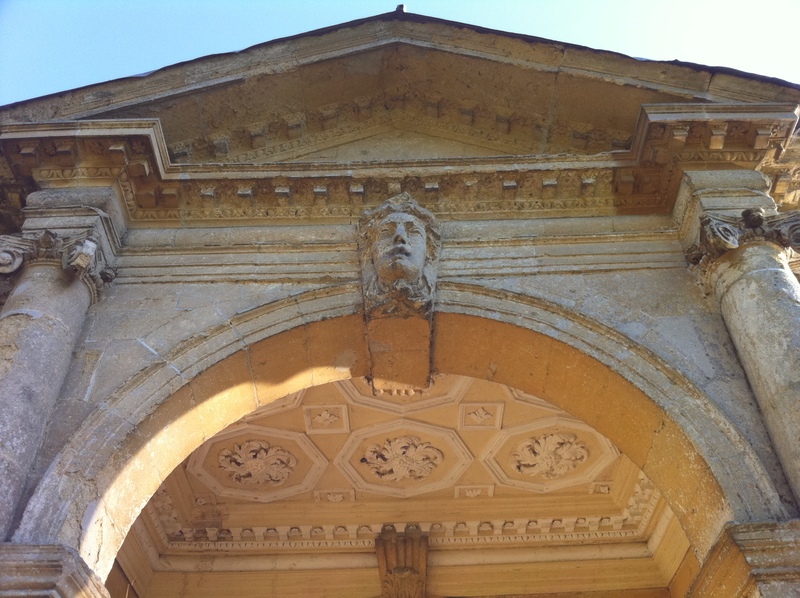 And who was the architect advising Lord Cobham at Stowe in the 1750s? 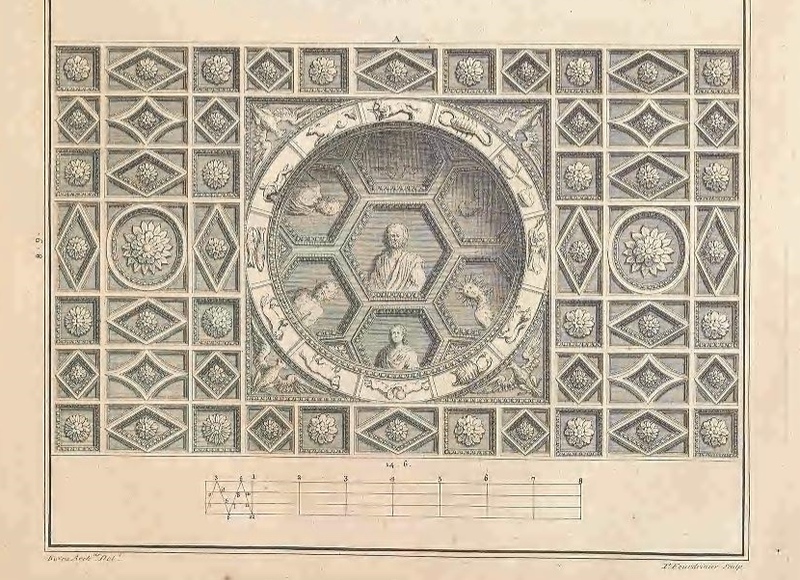 None other than our friend Giovanni Battista Borra, who worked there on his return from Syria, making Stowe’s garter room ceiling ‘the first room in the modern world’ to be based on the now destroyed Temple of Bel. Repeat the exercise in some of the great chambers of our greatest houses – the State Bedroom at Woburn Abbey, the dining room at Stratfield Saye, the church at West Wycombe, the study at Harewood House, Chiswick House, Kensington Palace – and again, there will be a small piece of Syria. The Ruins of Palmyra was a hit, moving artists such as Hamilton, the poets Browning and Diderot and an exuberant Horace Walpole, who wrote ‘of all the works that distinguish this age, none perhaps excel those beautiful editions of Balbek and Palmyra’. 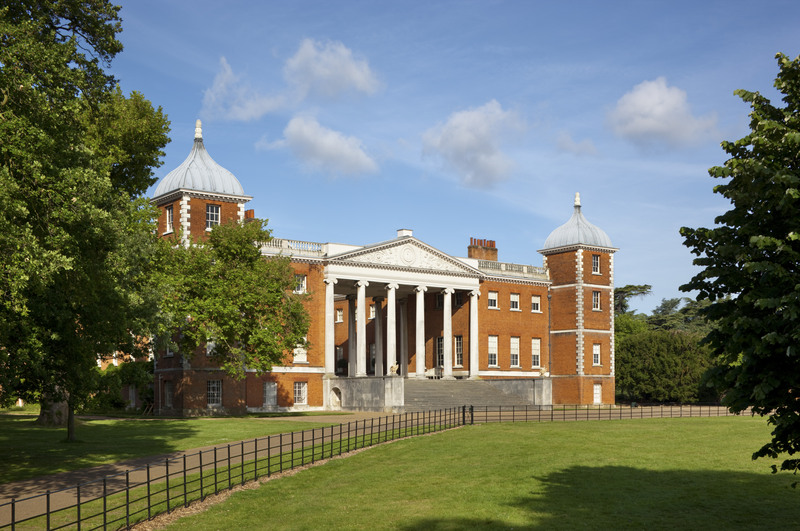 The descriptions and 57 plates taken from Borra’s drawings inspired more than a fleeting fashion in coffered Palmyrene ceilings, but became templates for architectural detail and whole facades – the entrance front at Osterley Park takes its inspiration from the Temple of the Sun. 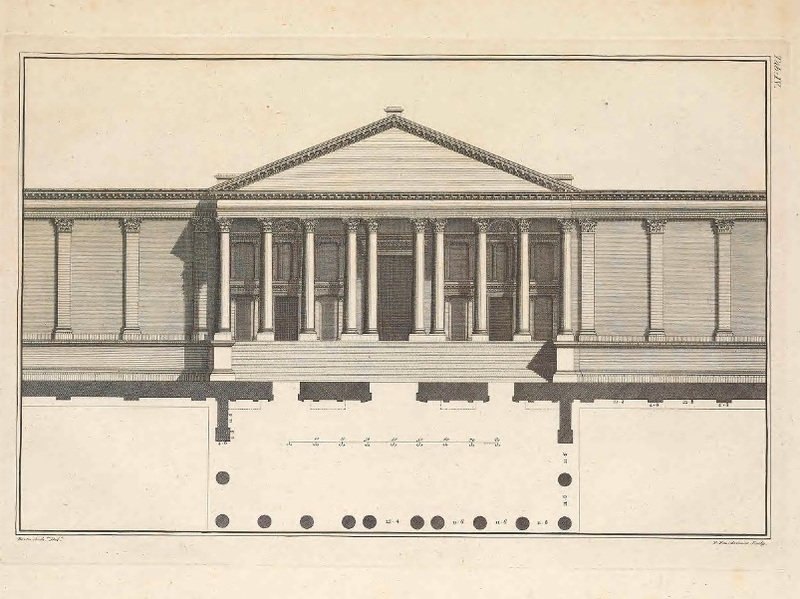 Borra’s original 1753 elevation of the Great Temple from The Ruins. I applaud my friend Professor Maamoun Abdulkarim, Syria’s Director General of Antiquities, for his recent promise at a WMFB Talk to ‘rebuild’ Palmyra, and I support efforts to conserve, record and even reconstruct this (it’s proposed that the arch will be temporarily recreated in Trafalgar Square) and other cultural icons so that they cannot be removed from history. These things need to happen. 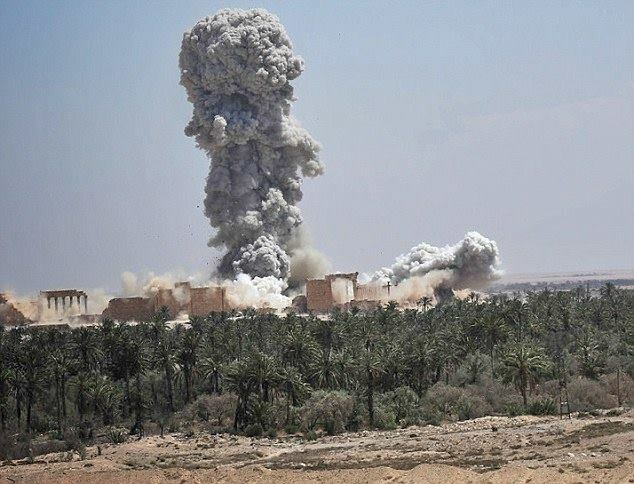 But Palmyra has already spawned a thousand imitations – the legacy of this extraordinary place is very much alive and much closer to home than most people think.